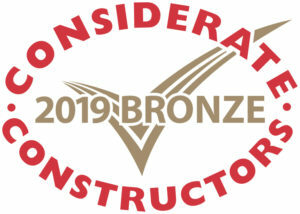 Pave Aways has been presented with a Bronze certificate in the Considerate Constructors Scheme National Site Awards 2019. We were given the award for our work last year on the global manufacturing and distribution facility for Invertek Drives at Offa’s Dyke Business Park, Welshpool. 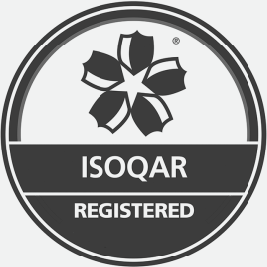 It was built on behalf of our client, the Welsh Assembly. Site Manager Elwyn Preece collected the award on our behalf at a ceremony in Manchester on March 28. Managing Director Steven Owen said: “The Considerate Constructors Scheme’s National Awards are a highly anticipated event in the construction industry’s calendar that recognises achievements in the advancement of the considerate construction ethos.